All custom made items are not returnable and will require payment in full prior to shipping. This is a belt we made just last month for an Ostomate with a stoma and a draining fistula. It was designed with measurements provided by the Ostomate and built to her specifications. 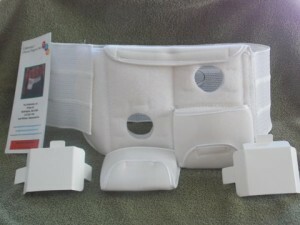 Celebration Belts such as this are hand made to meet the needs of the individual ostomate. This is a service that we provide on a regular basis. 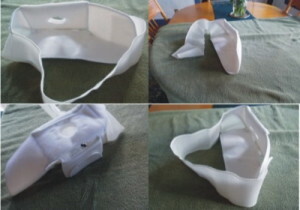 This is our latest custom belt designed to help Ostomates with very large parastomal hernia. It protects the stoma while holding a large hernia in a stable position.